Your moving on up to the next level of Dollhouse staircases in our building materials collection. From spiral to classic these stairs are sturdy and life-like. 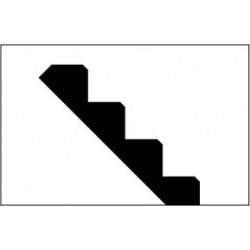 Browse our selection of stairs and railings to find a match for your dream home! Redecorate and redesign your dollhouse with this Fancy Stair Kit, Assembled. Your decor and collection of miniatures will be taken to another level of fabulosity. 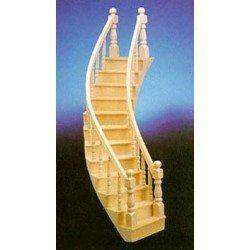 You will love this Staircase Kit as it complements your other miniature dollhouse furnishings. Now is the time to design a great new look! 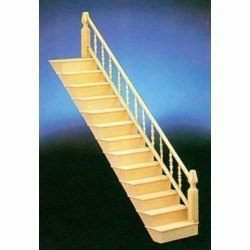 Adding this Stairs, 2 Rail, Left Curve Assembled to your miniature collection is just what you need to make your dollhouse a home, and showcase your fabulous taste. 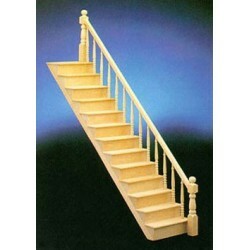 You will love this Straight Staircase w/Rail, Left or Right as it complements your other miniature dollhouse furnishings. Now is the time to design a great new look! Adding this Stairs, 2 Railed, Right Curve, Assembled to your miniature collection is just what you need to make your dollhouse a home, and showcase your fabulous taste. 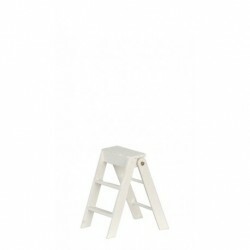 You will love this 2in High Stepladder White as it complements your other miniature dollhouse furnishings. Now is the time to design a great new look! 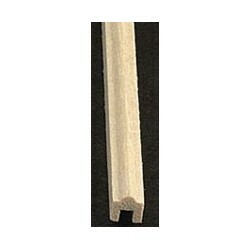 Enhance your dollhouse collection with this &CLA77344: SRB-20 STAIR RISER. Added to your other dollhouse miniatures, it is a complement for a variety of styles and tastes. You will love this SRA-14 14 IN. STAIR STRINGER as it complements your other miniature dollhouse furnishings. Now is the time to design a great new look! 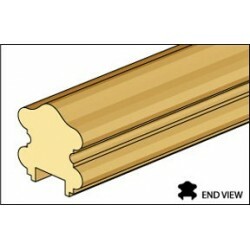 Adding this &CLA77345: SRC-28 STAIR RISER TREAD to your miniature collection is just what you need to make your dollhouse a home, and showcase your fabulous taste. You will love this SRA-22 STAIR STRINGER as it complements your other miniature dollhouse furnishings. Now is the time to design a great new look! Adding this Src28 Stair Tread to your miniature collection is just what you need to make your dollhouse a home, and showcase your fabulous taste. You will love this Src28 Stair Tread as it complements your other miniature dollhouse furnishings. Now is the time to design a great new look! 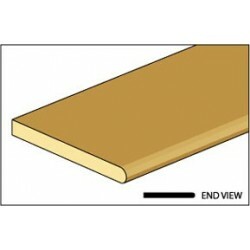 Src28 Stair Tread from our line of Dollhouse Building Material. 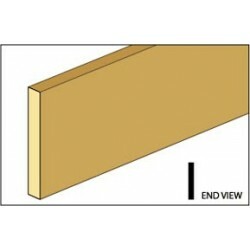 Enhance your dollhouse collection with this Hrb10 5/16 Handrail. Added to your other dollhouse miniatures, it is a complement for a variety of styles and tastes. 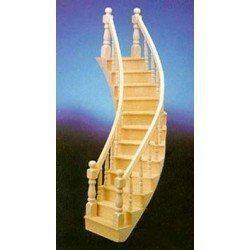 You will love this Stair/landing Handrail as it complements your other miniature dollhouse furnishings. Now is the time to design a great new look! 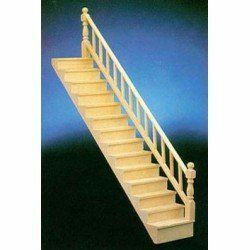 Adding this Stair/Landing Hand Rail to your miniature collection is just what you need to make your dollhouse a home, and showcase your fabulous taste. 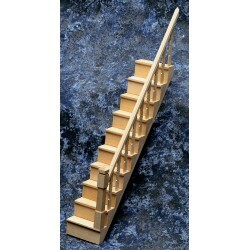 You will love this Srb20 Stair Riser as it complements your other miniature dollhouse furnishings. Now is the time to design a great new look! Adding this Srb20 Stair Riser to your miniature collection is just what you need to make your dollhouse a home, and showcase your fabulous taste. 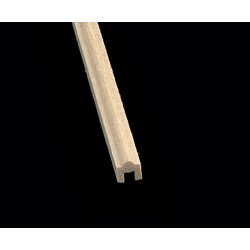 Srb20 Stair Riser from our line of Dollhouse Building Material. 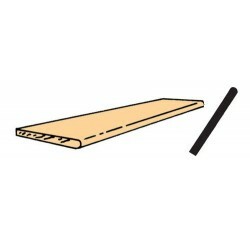 Spruce up your dollhouse with this miniature Simple Stair Kit. 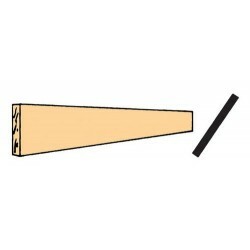 We have many miniature Dollhouse Stairss for that finishing touch.